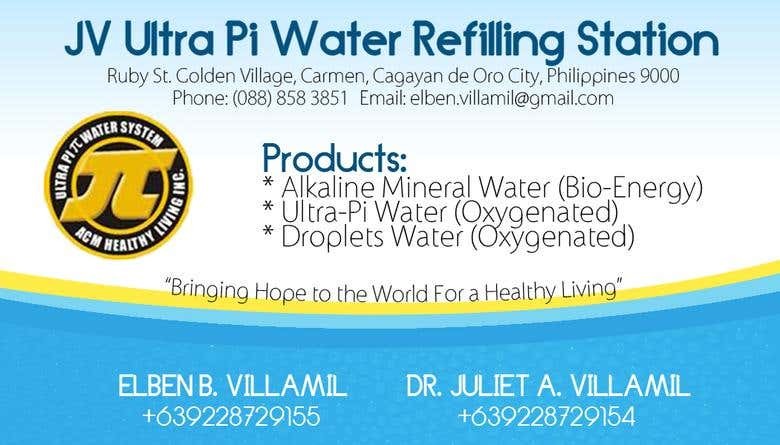 This is a business card design for JV Ultra Pi. For almost 7 years, I've been designing logos, brochures, posters, tarpaulins, etc. for various clients using Adobe tools such as Photoshop and InDesign. I've worked with several companies, Rognerud Research Inc., 4D Strategies, J2 Media Solutions and Show Pony to retouch images and make designs respectively. Since I am also into photography, I also have experience in editing wedding photos with the use of Lightroom for color corrections, cropping, red-eye removal and such. I am also knowledgeable in the basics of Wordpress, Magento and Microsoft Office Access. Besides doing designing, I also do data entry as well. I am very proficient in using Microsoft Office tools like Word and Excel. And I have a typing speed of 77 wpm. I am creative, detail-oriented, and a quick-learner. I can assure you that everything I do is to the best of my ability. You will not be disappointed.